Portland roads have been deadly so far this year, with new figures indicating we’ve seen about one fatal crash every single week. Mayor Charlie Hales, holding a news conference on the issue recently, called this startling trend, “unacceptable.” Our Portland car accident attorneys couldn’t agree more, especially considering that the majority of these incidents stem from risk factors that are entirely preventable. In all, as of March 20, there were 10 fatal crashes resulting in 11 deaths. Yet, despite this increase in the number of deaths, the number of police-issued citations is down. Of the fatalities that have occurred so far this year, police investigators say drunk driving and distracted driving were major factors in at least a handful of them. A traffic safety meeting is scheduled for early April to help address the problem. One of those crashes – the only double fatal so far this year – happened in the southeast section of the city. According to witnesses, a driver of a sport utility vehicle slammed into a Toyota Corolla after blowing through a stop sign. The two individuals inside the Toyota, a 55-year-old man and his 90-year-old mother, were killed instantly. One of the occupants of the SUV was transported for treatment at a local hospital, while the others, including the driver, fled. Even more tragically, the crash occurred just outside of a restaurant with ample outdoor seating, and many diners witnessed the entire incident unfold. They will now be indelibly scarred with the violent memory, though that pales in comparison to the grief suffered by the loved ones of the two who were lost that day. Another fatal wreck, this one back in January, resulted in a 49-year-old man facing charges of second-degree manslaughter, DUI and reckless driving. According to investigators, the single-vehicle crash occurred when the drunk driver reportedly veered off the road and into a telephone pole, killing his 37-year-old passenger. The driver was briefly treated at the hospital before being released to police custody. Part of the problem is that while people know the dangers of drinking and driving or texting while they are behind the wheel, they simply don’t think tragedy will befall them. It’s always someone else who suffers those severe consequences – until it isn’t. Maintain your calm. Of course, this is easier said than done, but it’s important to take a deep breath and try to assess the situation at hand. Make sure you and your passengers are OK. If not, you may need to administer or seek aid as soon as possible. Move as far away from the roadway as possible to avoid a secondary crash, but do not leave the scene of a crash. Warn oncoming traffic of the need to slow down by activating your hazard lights. Do not admit fault. Don’t discuss the crash with anyone except for the police (and even then, only to answer basic questions) and your attorney. 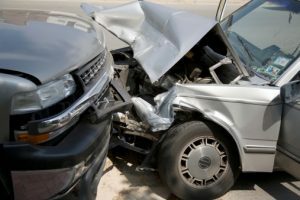 If you or someone you love was injured in the accident, contact a personal injury lawyer as soon as possible to explore your options.